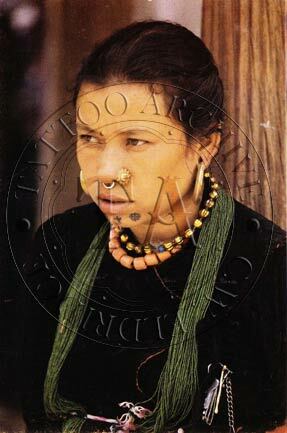 For over 100 years, postcards have been used to carry images around the world. Almost any subject imaginable has been, at some time, portrayed on a postcard. The broad subject range comes as a result of the social usage cards were designed for. Postcards continue today to be the most popular form of souvenir for travelers as well as economical means of communication both personal and business related. There are several factors accounting for this popularity of photographic postcards. In 1898 the United States Post Office announced that Rural Free Delivery of the mail would be provided for groups of farmers who petitioned their congressmen. Until that time free home delivery had been made only in towns of ten thousand or more residents. Farmers and other rural people had to pick up their mail at the nearest post office, which in many small towns served as the nearest general store and gathering place. The change to Rural Free Delivery was not instantaneous. By 1906, most of the delivery routes had been established and rural agents were bringing daily mail to isolated homes and farms all across the country. This apparently minor shift in mail delivery policy united the entire nation in an efficient communication network. Also in 1898 the Post Office established a reduced postage rate for privately printed postcards. This ruling required that one side of the card be reserved strictly for the address, so on a picture postcard the message had to be included on the image side. This restriction necessitated blunt correspondence, but at a penny of postage, communication was cheap. In 1902, Eastman Kodak Company took advantage of the booming international postcard fad by issuing postcard-size photographic paper on which images could be printed directly from negatives. Kodak also supplied cameras and processing services to amateur postcard makers. The Folding Pocket Kodak No. 3A, manufactured in 1903, was designed to take postcard-size negatives at 3¼ x 5½. In 1907, the postal law was liberalized to allow messages on the address side of the card, and because of this, the production of photographic postcards grew into a substantial business. 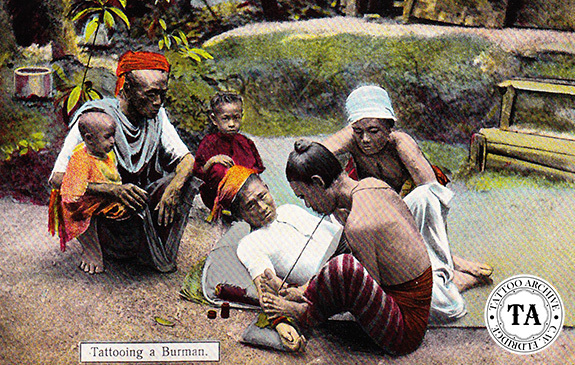 Early on, tattoo artists and attractions realized the publicity value of the picture postcard. 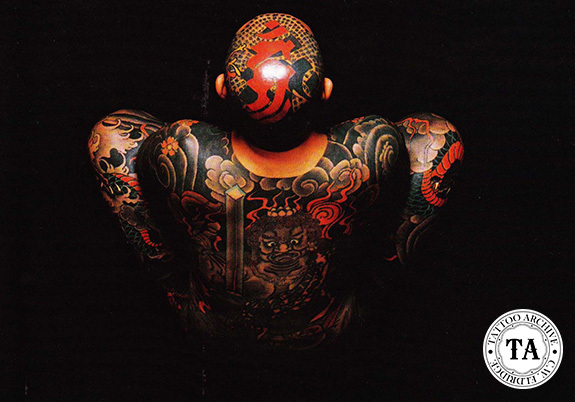 Most attractions sold postcards showing their tattoos and many realized a big profit from it. Betty Broadbent was always very careful to retain her right to sell photos of herself in her contract negotiations. Sideshow operators were very aware of the money to be made by attractions selling cards and at times would try to horn in on the money. Tattoo postcards are not limited to just photo reproductions. 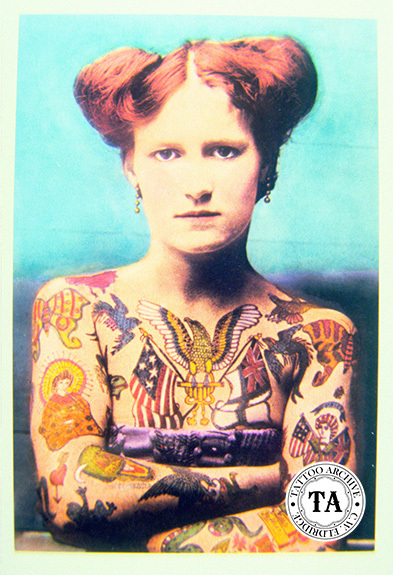 In fact, many of the American tattoo postcards are linen cards from the 1930's and 1940's. Most of these cards have illustrations involving military men, specifically sailors, and most have a romantic, risqué or relationship oriented gag.